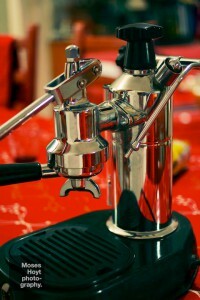 The height of awesome manual espresso making – the La Pavoni Europiccola. 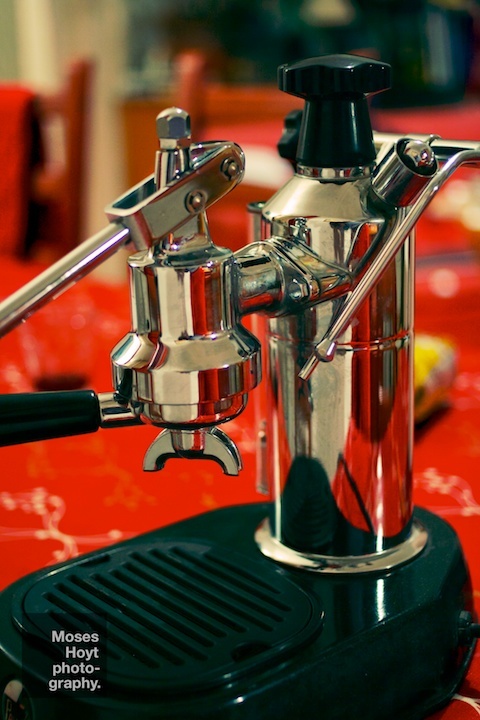 It may take a while to master, and I may not have my Zassenhaus grinder with me to experiment with the fine grind settings, but it is still incredible. Additionally, check out my photos as part of Moses Hoyt Photography on Facebook. They make steel. They wear suits.